If Carlye can come back to the Ducks, why can't Sutter? That is your opinion. 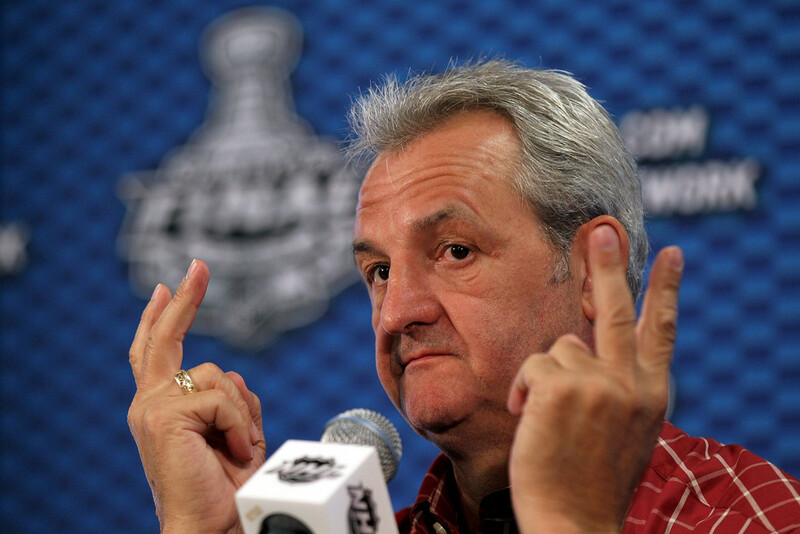 I was very happy the Kings went after Sutter. Great question. Anyone with new ideas will do. Hell, even my mom could take a crack at the PowerPlay couldn't be much worse! Unfortunately, I'm really good at complaining but I don't have any answers at the moment. But I'm sure someone tied into the hockey world knows the up-and-comers and strategists that knows their stuff. Excuse me. I need to go throw up now. And probably take a shower. is Dave Tippett still available??? Dave Tippett is the first "hockey" employee of the Seattle expansion franchise. So he'll be spending the next 2-3 years helping them hire a GM, coach, etc. His popularity with Kings fans seems to boil down to running a decent power play 15 years ago, and putting Allison Deadmarsh Pallfy back together while Andy Murray served a suspension! Didn't do much for the Coy-oots, though. Bruh, too far. If you’re going to be funny say Hitchcock or post a picture of Julien with that beer helmet yelling at duh-no…Glenn Murray(? ).